Ovaltine had the trademark "Captain Midnight" from 1940. 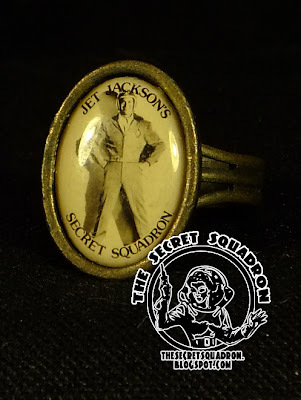 Ovaltine wished to retain rights to the trademark, so for syndicated reruns, the TV hero was renamed "Jet Jackson," and the sound track was edited to insert "Jet Jackson" everywhere in the dialogue where "Captain Midnight" was. This is considered a "fantasy item", as there are no known official Jet Jackson premiums.